The Irish European Breeders’ Fund has supported horseracing in Ireland since 1983 Britain by enhancing prize money for over 30 years. Every year, the stallion owners in Ireland, pay the equivalent of an average nomination fee for each of their stallions, into the Irish EBF fund. These funds are targeted at Flat and National Hunt races in Ireland that are judged to support the industry. Working closely with Horse Racing Ireland, the Irish EBF Governors’ create a programme of Irish EBF sponsored races targeted to support the Irish Racing industry. Only the progeny of EBF registered stallions can enter these races and benefit from the extra prize money. In total, Irish EBF have contributed over €42.5 million to Irish Prize-money since 1983, with a current annual investment now over €2.2 million making Irish Stallion Farms the largest sponsor of racing in Ireland. Following on from the success of the Foran Equine/Irish EBF Auction Series on the flat, the Irish EBF will run a parallel series for the National Hunt sector. The Irish EBF Auction Hurdle Series will consist of 14 maiden and novice hurdle races from September 2018 until April 2019, each worth a minimum of €20,000, with a final in April worth €75,000. Entry into the valuable final will be limited to horses which have run in one of the previous races in the series. In addition, the ITBA have agreed to boost the series by including all of the series races in their popular Weatherbys ITBA NH Fillies Bonus Scheme. This means a NH filly, who is registered in the scheme, and wins a series race can not only take home at least €12,500 in prize-money but the connections could also scoop an additional €5,000. The Irish EBF and Foran Equine continue to sponsor a series of races confined to two year olds purchased at public auction, the series is now worth over €617,000 and boasts 22 qualifiers and a final worth €120,000. Irish EBF have continued the commitment to sponsor the €75,000 Listed Yeats Stakes race at Navan Racecourse. This is part of the European Pattern Committee long term Stayers Project, aimed to enhance the overall European stayers’ programme, with a view to incentivising the breeding, owning and training of quality staying horses in Europe. As a further commitment to supporting staying races, the Irish EBF have increased the contribution to three year old and three year old and upwards median auction maiden races of 9f or further. The aim is to target support for produce of stallions that are likely to produce staying progeny. Additional sponsorship of Fillies only handicaps now totalling 25 races with added prizemoney of €160,500 by Irish EBF. The aim is to create more opportunities for fillies to help enhance their value within the competitive environment of handicaps. 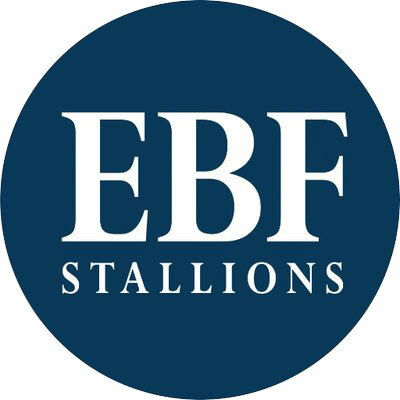 The Irish EBF is a not for profit organization with the purpose to annually re-invest the income contributed from Irish based stallion owners directly into Irish prize money.